Although there’s not exactly a shortage of mid-size SUVs on the road, the GMC Acadia and Ford Explorer are two of the most popular. Choosing between these two worthy vehicles isn’t exactly easy, however, because they both have quite a lot to offer. But what better way to spend a few minutes than by comparing features of both these SUVs and seeing who comes out on top? So let’s do this thing: it’s the 2019 GMC Acadia vs 2019 Ford Explorer! As per usual, we need some ground rules, however, to make sure this is a fair fight and to compare similar models. Each of these SUVs has different trim levels available, with standard features and available options changing at each level. I’ll be sure to look at comparable trim and model options throughout this battle; otherwise, it’s just not a fair fight. Sometimes, however, it’s easier to look at the best available options overall, so you can see what each has to offer if you want to go all out on an SUV. Comparing engines between the 2019 GMC Acadia and the Ford Explorer is actually quite simple. Both of these SUVs have at least two different engines on offer – one that is standard and another that is available or included at higher trim levels. So let’s look at the standard one first, and then the top-end option, and see what each of these rides has to offer. 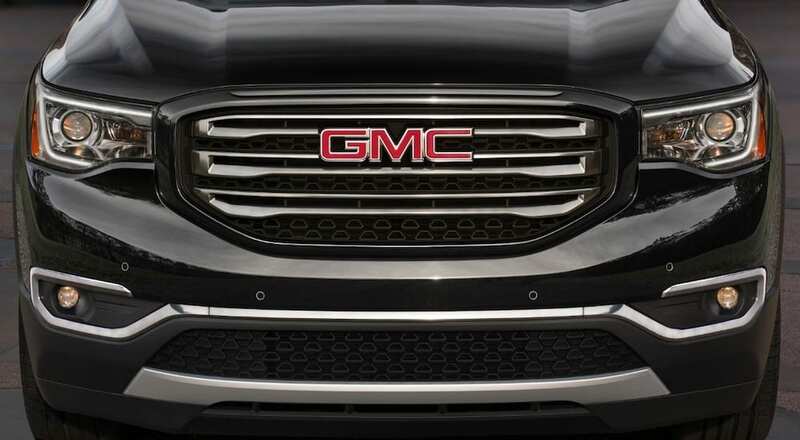 The standard engine for the 2019 GMC Acadia is a 2.5L 4-cylinder engine that provides 193hp and 188 lb.-ft. of torque. That’s pretty good for a mid-size SUV, but if you want to haul a small trailer behind you or need to go uphill a lot, then that might be a bit lacking. By comparison, the 2019 Ford Explorer has a standard 3.5L Ti-VCT V6 engine that provides 290hp and 255 lb.-ft. of torque. As you can see, that is quite a lot more power than the standard engine in the Acadia, so this round goes to the Explorer. When it comes to maximum potential power, the 2019 GMC Acadia has an available 3.6L V6 engine that offers up to 310hp and 271 lb.-ft. of torque. That’s certainly a major upgrade from the standard engine and gives you a lot more power for towing or pushing uphill. The 2019 Ford Explorer has an available 3.6L EcoBoost V6 that provides up to 365hp and 350 lb.-ft. of torque. Once again, that’s more powerful than the Acadia’s engine, so the Explorer wins power and performance overall. I could spend a few thousand words going over every possible variation of interior option available on these two SUVs, based on different trim levels. However, I don’t want to do that and you probably don’t want to read that. So let’s pick a comparable trim level, based on price, that has a decent amount of standard options and compare them. For the sake of this battle, let’s look at the GMC Acadia Denali, which has a starting price of $46,695, and the Ford Explorer Sport, which has a starting price of $46,625. The 2019 GMC Acadia Denali is the highest trim level for the Acadia and features an 8-inch touchscreen Infotainment system with voice-controlled Navigation. The Denali also has Bluetooth support and includes an 8-speaker Bose premium audio system. The Denali includes heated and ventilated seats, a leather-wrapped heated steering wheel, an 8-inch configurable driver information system, and tri-zone automatic climate control. By comparison, the 2019 Ford Explorer Sport includes a 12-speaker Sony audio system with a voice-activated navigation system. It features a leather-wrapped heated steering wheel, leather-wrapped shift knob, and an integrated key fob. The Explorer Sport has dual-zone automatic temperature control with an air filtration system. It’s worth mentioning that the Sport is not actually the highest trim model for the Ford Explorer, but the Platinum starts at over $54,000 so that would not be an accurate comparison with the GMC Acadia Denali. For a lot of SUV owners, fuel economy is a major concern, as historically SUVs, especially mid-size and full-size models, have been pretty hungry for gas. So let’s take a look at the estimated gas mileage for the Acadia and Explorer and see what they have to offer. To keep things fair, we’ll look at standard and available engine options and compare them directly. The 2019 GMC Acadia with the standard engine gets an estimated 21mpg in the city and 26mpg on the highway. That’s excellent fuel efficiency for a standard engine in a vehicle that sits up to 7 people. If you go with the available engine for more power, the fuel economy takes a hit, but not a major one. With the available engine, the Acadia gets an estimated 18mpg in the city and 25mpg on the highway. Now, let’s compare that to the 2019 Ford Explorer. With the standard engine, the Explorer gets an estimated 17mpg in the city and 25mpg on the highway. That’s quite a bit less than the Acadia, especially in the city. If you look at the Explorer with the available 3.5L engine, then the fuel economy drops to an estimated 16mpg in the city and 22mpg on the highway. 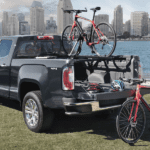 Again, that’s a bit less than the Acadia – so overall the GMC Acadia will get you better gas mileage. I’m going to break my own rule here, because that’s just how I like to do things. Safety features are so important that I’m not going to bother with comparing similar builds or trim levels. I’m just looking at the total available safety options for both of these SUVs – so this is how safe each can be if price doesn’t matter. Fully loaded, the 2019 GMC Acadia includes multiple airbags, low-speed automatic braking, and a rear vision camera. It features front and rear park assist, with front pedestrian braking, along with a following distance indicator to help you keep a safe distance from vehicles in front of you. There’s a lane keep assist system with lane departure warning, forward collision alert, and lane change alert with a side blind zone alert. The Acadia also has a rear seat reminder and Teen Driver program that lets you help new drivers build good habits. By comparison, the available safety features for the 2019 Ford Explorer include a forward sensing system and configurable daytime running lights, along with numerous airbags. There is a lane departure warning system with lane keep assist, a rear vision camera with a washer, and a reverse sensing system. Ultimately, the Explorer includes many of the same safety features as the Acadia, though there are a few missing pieces that give GMC an edge here. So, when the dust settles, what do we have? The 2019 Ford Explorer clearly wins out when it comes to power and performance, with more powerful engines both standard and available. On the other hand, you’re going to get better fuel economy from the 2019 GMC Acadia. Comparable models of each are pretty similar in terms of interior features, though the Acadia includes more at the same level because the Denali is much less expensive than the Explorer Platinum. Both have excellent safety features, but the Acadia takes the lead just slightly here as well. Overall, both are excellent mid-size SUVs, but other than the engine, the GMC Acadia mostly takes the day with more features and efficiency overall.